Brightest EDC Flashlight? Looking for a budget alternative using up to four 18650’s. Up to 6.5 inches long and able to fit in a normal pocket. Would be nice to have at least 5K lumens on turbo. Moonlight mode. IPX 6+ rated. Under $150? Wow. 4 18650s are not going to fit in my pocket. I don’t think you going to get 5000 lemons out of a A6. Look into the soda can lights. 3× 4x cells. definitely not 5,000. but edc. c’mon. The brightest single-18650 flashlight you can buy is the Emisar D4 with XPL HI at 4,300 lumens. That’s about the upper end of what most people would consider an EDC. However, it sounds like your idea of an EDC does not match most people, since you’re looking for a 4×18650 light. 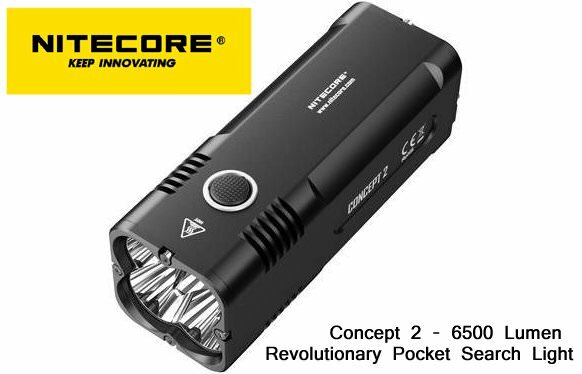 How about an Acebeam X80 at 25,000 lumens? Emisar D4 with XP-L HI will get you close. Might cause 3rd degree burns if left on high for too long but hey, what’s a little pain and permanent disfigurement in the search for really small, really bright lights. That looks very promising- which one is best? what are the moonlight mode lumens? I have a NW XP-L HI at 5000k and I love it. Each their own in tints. Lower the number in K’s the warmer the light, higher number gets whiter. Which ever you like better. but BLF Q8 would match the 5000 lumen you want. 4× 18560? That’s not a EDC in my book lol but BLF Q8 would match the 5000 lumen you want. I am quite new here as well, but thanks to all the advice and reviews from the good people on this forum I have found a few great flashlights. Both the following flashlights are already mentioned by people on this post. I don’t think you’ll get better value for money, and both developed by people on this forum. BLF A6 – a great very bright pocket sized flashlight – liked it so much I bought a second one! BLF Q8 if you don’t mind carrying a 20 oz soda can and a Emisar D4 if you going for pocket carry. Wow 4×18650 is not EDC at all. The smallest 4×18650 is the Noctigon M43 which is now on sale and much cheaper than how much everyone else paid for it. It does 7k-8k lumens and is very high quality. Here is a good review of it. Another good 4×18650 flashlight is the MT03 modded by TA. The ones TA modded for me are super bright 22k or 23k lumens and very nice 4000k 80CRI tint that renders colors and textures very well. If you want a very pocketable flashlight approaching 5000 lumens, you can get the Emisar D4vn modded with XP-L2 V6 bin emitters. I had Vinh put in XP-L2 4000k 80CRI V4 bin emitters and it makes 20.8% more lumens than the stock XP-L HI v2 bin. The tint on the 80CRI 4000k is really good. Not yellowish or greenish like most Cree XP-L2 high CRI emitters and I can actually tell a difference in color rendering compared to the stock XP-L HI v2. But this thing gets hot rapidly on max mode. The later versions of the D4 have a much lower moonlight than the older D4 versions and is perfect for bedside use. I also have a Sofirn C8F host sent to TA for modding with triple XP-L2 4000k 80CRI emitters and it should produce 4.5 to 5k lumens and should be much more practical than the Emisar D4 due to its larger mass for heat dissipation. Even with the stock XP-L v6 emitters, I measured this thing to make about 3800 lumens and it has enough mass to maintain the lumens pretty well. They are if you wear clown pants. Wow that’s the clear winner! Don’t know the actual size though. Haven’t seen this posted anywhere yet. not so small as it looks , about the same size as BLF Q8, Much bigger than M43! But seems like the Emisar D4 is on the upper end of practical use on Turbo? What is one step down from the Emisar D4? Here ya go. Kinda pricey, though. Not a multi cell light but the Sofirn C8F would work nicely. Doesn’t get super hot, super fast like the Emisar. Depending on how you are dressed, could be carried in your pocket. Though a holster for it is super cheap and practical. Hides nicely under a untucked shirt. Replace the wire they used for the spring bypass and you have 3000+ lumens of triple emitter goodness.